A recent post by “agenteye” on the Hair Restoration Network highlights why a lot of people are talking about Dr. Rahal’s hairline results. This post showcases John, a 35-year old man who had an FUT hair procedure with Dr. Rahal. The thread has gained a lot of positive feedback on the hair loss forum. 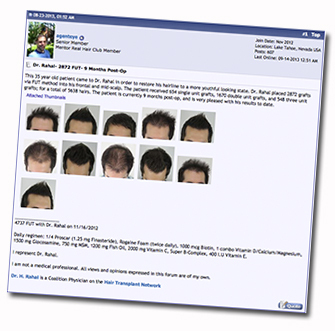 The thread showcases John, a 35-year old male who had an FUT hair transplant by Dr. Rahal. The patient wanted a more youthful looking hairline. Dr. Rahal placed 2872 grafts throughout his front and mid-scalp. Only nine months after his hair transplant by Dr. Rahal, John has a natural and youthful hairline at maximum fullness and density. 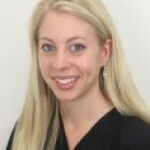 The post includes a wide range of before and after photos to showcase this patient’s results. This thread is especially relevant to potential hair transplant patients. It showcases Dr. Rahal’s extensive experience in hairline design, angle, and orientation of grafts – resulting in the look and feel of natural hairlines. Just nine months after his 2872 FUT hair transplant by Dr. Rahal, John feels healthier and looks younger.